Forget Moses’s impassioned plea to the Israelites concerning their choices among the many blessings and curses that God reportedly set before them as they were about to cross the Jordan river into their promised land. (See Deut. 11:26-28, 30:15, 19.) Evolutionary biologist Jerry Coyne claims we have no ability to choose freely among alternatives. According to Coyne, “we couldn’t have had that V8, and Robert Frost couldn’t have taken the other road.” Presumably, the Israelites in the story had not much choice either. Such determinism, call it hard determinism, is but one of four classic understandings of free will, each with variations. Another approach, known as (hard) indeterminism, agrees that there is no such thing as free will, but not because our decisions are predetermined. Rather, it views the universe as dominated by randomness over which there is no control. Two other views, compatibilism and (non-political) libertarianism, hold that free will exists, but split on whether reality is determined. The absolute determinism of Coyne and Harris is not surprising. Both are known for holding firm convictions, rather than espousing nuance. But their viewpoint comes with a healthy dose of irony. Both men are scholars, teachers and authors. They spend a good deal of their energy attempting to marshal facts and arguments in efforts to persuade people of various positions, especially in areas where they believe science or logic or both demonstrate the invalidity of religious texts or principles. Yet, if our conduct is hard-wired and predetermined, if we really could not have chosen that V-8 or taken that other road, what is the point of listening to them or reading their books? After all, if their thoughts and words were predetermined by their genes and environment, why should they be assigned any greater value than someone else’s predetermined thoughts and words? And anyhow, would what they say make any difference with respect to a listener’s or a reader’s future conduct? Perhaps they would say that their words can somehow affect the brain’s synapses so the next time a decision needs to be made, the wiring will be different , i.e., predetermined but with a different and better outcome. But, if that is so, should not it be so for those who hear Moses’s words, too? Some might call that learning how to think, to reason, to make choices. In any case, it is one thing to argue, as Coyne and Harris do, that the biblical account of creation or evolution is not supported by science. (Well, of course it isn’t. The Torah was never intended to be a science text, and its various authors lacked requisite knowledge anyhow.) It is quite another thing to argue that humans have no free will. That’s getting personal. At least the target is better selected. There is no question that Judaism, from the first millennia before the common era, through the Talmudic period, into the Middle Ages and currently has assumed that individuals have considerable free will. And it did so initially for good reason. If you were the authors and editors of the Torah text, and were trying to establish rules and regulations for what you envisioned to be a sacred society, a religious civilization, you would want to encourage the members of your community to be responsible for their conduct, not just for their own sake but for the wellbeing of the polity. One way to do so would be to create a foundational text which is premised on the idea that individuals are free to act and that those actions have consequences for the actors and the greater social order. In theory, the resulting social pressure would then reinforce the desired behavior. The biblical understanding of free will is not asserted philosophically or analytically. Initially, it is expressed conceptually and through fables. At the very outset of Genesis, the Torah asserts a profound position: humankind, the final creation, is fashioned b’tzelem Adonai, in the image of God. (See Gen. 1:26-27.) What that phrase might mean is debatable, but as bible scholar Christine Hayes notes, one feature that distinguishes humans from other animals is their free will, again understood generally to be the unimpaired capacity to choose among available courses of conduct. That capacity to act was demonstrated in short order: according to the text, the first two humans created are told not to eat fruit from the tree of knowledge of good and bad, they know the rule, they disobey, and there are consequences. (See Gen. 2:16-17, 3:2-3, 6, 16-24.) Shortly thereafter, we are told, their son Cain was upset when God did not pay the same attention to him and his offering as God did to Abel and his offering. God advises Cain that he has the power to overcome an evil inclination, Cain does not do so, and, again, there are consequences. (See Gen. 4:3-16.) That these stories are pure fiction does not detract from the fact that they reflect a fundamental understanding of human nature, one that includes the power to make decisions. When we reach the book of Deuteronomy, we have a new and revised set of governing principles presented in a new literary style and with a more personal and urgent tone, but the importance of free will is, if anything, heightened. It is here that we find Moses’s moving speech to the assembled Israelites, the speech that in the view of Coyne and Harris is unfounded and misleading and futile. Just before he dies, Moses tells the people that the instruction being given them is neither too difficult to understand nor beyond their reach. (See Deut.30:11.) Rather, they have choices to make. He has set before them two paths, one to life and prosperity and another to death and adversity. Moses urges the people to follow the rules that have been outlined, that is, to choose life, so that they and their offspring might live. (See Deut. 11:26-28, 30:15, 19.) Again, the historicity of the speech, or lack of it, is not important. What is critical is the demonstration of the underlying strength of the idea that humans have the capacity to choose among available courses of conduct and that there will be consequences to their choices, and not just personal consequences, but societal ones as well. As Professor Hayes has noted, in the Deuteronomist’s view of history, “Israel’s fate is totally conditioned on her obedience to the covenant . . . .” (Lecture 11 at 3/12.) In the writings that follow in the books we know as Joshua, Judges, Samuel and Kings, what we have is historiosophy, an argument based on a selected historical (some undoubtedly fictional) touchstones, all of which show a pattern of reward and punishment tied to Israel’s (dis)obedience. (See Hayes, Lecture 12 at 5-6/13.) The anarchy described in Judges led to stories of a monarchy. The failure of the kings, and the people, then led to national ruin. With the fall of the kingdoms of Israel and Judah, community leaders needed to rationalize how their omnipotent deity failed to preserve their homeland and, indeed, his own home, the temple in Jerusalem. Attributing the catastrophe to some absence or defect in the deity was not an option. What was clear, therefore, was that the people had failed to observe the laws provided to them, and as Moses and subsequent prophets like Isaiah, Amos and Jeremiah had warned, their bad choices had led to social disorder and collapse. Centuries later, Jewish sects like the Pharisees, Sadducees and Essenes anticipated modern diversity of thought about free will. According to the account of the historian Josephus, the rural and righteous Essenes were fatalists, seeing everything as divinely predestined, while the Sadducees, associated by Josephus with the priesthood and financial power, favored absolute free will unencumbered by divine providence. Both groups essentially disappeared after the fall of the Second Temple in 70 CE. The Pharisees, both more populist and less Hellenized than the Sadducees, accepted a mix of determinism and free will, and became the intellectual ancestors of modern Judaism. So strong was the view that each person was responsible for his or her actions, that we find in the Talmud the following statement: A person is always responsible for his actions, whether awake or asleep. (See BT Bava Kamma 3b.) Subsequently, Jewish philosophers, whether rationalists or mystics, treated free will almost as an axiom. They differed greatly about the apparent paradox that free will could coexist with God’s omniscience, and whether, for instance, God even knew about particular human activities in advance of their occurrence, but, in general, they did not dispute that humans had free will. For instance, Moses ben Maimon (1138-1204), better known as Maimonides or by his acronym Rambam, claimed both that God knew everything that would happen before it did but he also expressly rejected the idea that God decreed a man’s character, whether righteous or wicked, from his birth, and asserted that free will was “granted to every man.” If it were otherwise, he reasoned, there was no purpose to the prophetic urgings to improve our behavior. (See Mishneh Torah, Laws of Repentance 5: 2, 4.) On the other hand, Levi ben Gerson (1288-1344), known as Gersonides or Ralbag, agreed that man had free will, but asserted that God did not know in advance how any person would exercise it. On the third hand, the mystic Kabbalists believed that through a process of contraction or self-limitation, known as tsimtsum, God constricted his essence in order to allow the world to exist and humanity to have free will. The late rabbi Eliezer Berkowitz incorporated this concept while trying to synthesize rationalism and post-Holocaust theology. Obviously, the Jewish acceptance of free will is deeply rooted and enduring. Rabbi Jonathan Sacks, among many others, continues to link personal freedom to moral (and social) responsibility. But we have seen elsewhere that Jewish thought was a product of its time and, as such, potentially deeply flawed when viewed from a more modern and informed perspective. The authors of the creation and flood texts were neither scientists nor historians, and the later sages who opined on the process of gestation were typically not physicians, and, in any event, lacked the knowledge we have today about fetal development. Their stories and views may have value, but taking their statements as factually true is unwarranted. Similarly, Jewish thinking on free will should be subject to the same sort of critical analysis, and possible revision, that we have seen in other contexts. In short, are Coyne and Harris correct? 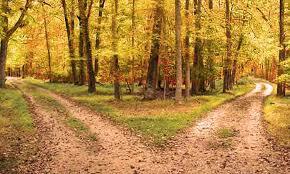 Is the free will hypothesis false? And, if so, what are the implications for Judaism? In our next post, we’ll take a look at what neuroscience teaches. 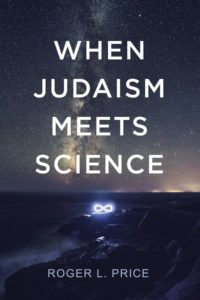 Tags: choice, Christine Hayes, determinisim, Deuteronomist, Eliezer Berkovitz, fiction, free will, Gersonides, image of God, Jerry Coyne, Jonathan Sacks, Josephus, Judaism, Maimonides, Moses, neuroscience, Sam Harris, Talmud, Torah, tsimtsum. This entry was posted on Wednesday, March 15th, 2017 at 5:27 pm	and is filed under Bible, Life Sciences, Neuroscience. You can follow any responses to this entry through the RSS 2.0 feed. You can leave a response, or trackback from your own site. My take: we are all crazy—we just haven't realized it ..yet….